Sign-up and receive Property Email Alerts of Commercial New Developments in Kiambu, Kiambu. Kiambu Mall is situated in the heart of Kiambu town and comprises of 5 floors; Basement, Ground Floor, 1st Floor, 2nd Floor, 3rd Floor and a Rooftop. 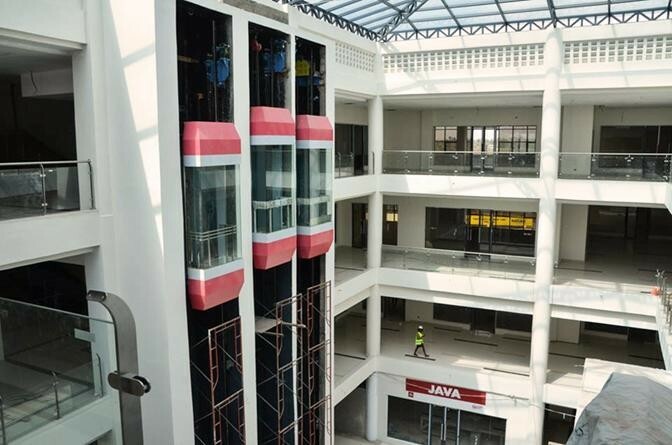 All floors are interconnected by elevators, travellators and escalators which assist shoppers to navigate round the Mall with speed and efficiency. There are approximately 80 tenants offering a good tenant mix and many options for the shopper. The Mall is the new landmark for Kiambu Town, which has in the recent past found itself in the middle of fast paced developments like Runda Gardens, Kencom Sacco Homes, Runda Paradise, Thindigua Five Star, Edenville, Evergreen and many more.